The former Dutch East Indies (dark red) within the Empire of Japan (light red) at its furthest extent. The Japanese Empire occupied the Dutch East Indies , now Indonesia, during World War II from March 1942 until after the end of the war in September 1945. The period was one of the most critical in Indonesian history. The Dutch East Indies had been a colony of the Netherlands (the Dutch) since 1819. However, the Netherlands itself had been occupied by Germany, and thus had little ability to defend its colony against the Imperial Japanese Army, and less than three months after the first attacks on Borneo,  the Japanese navy and army overran Dutch and allied forces. Initially, most Indonesians joyfully welcomed the Japanese as liberators from their Dutch colonial masters. The sentiment changed, however, as Indonesians realized that they were expected to endure more hardship for the Japanese war effort. In 1944–1945, Allied troops largely bypassed Indonesia and did not fight their way into the most populous parts such as Java and Sumatra. As such, most of Indonesia was still under Japanese occupation at the time of its surrender in August 1945. The Dutch East Indies was a Dutch colony consisting of what is now Indonesia. It was formed from the nationalised colonies of the Dutch East India Company, which came under the administration of the Dutch government in 1800. The occupation was the first serious challenge to the Dutch in Indonesia and ended the Dutch colonial rule, and, by its end, changes were so numerous and extraordinary that the subsequent watershed, the Indonesian National Revolution, was possible in a manner unfeasible just three years earlier. Unlike the Dutch, the Japanese facilitated the politicisation of Indonesians down to the village level. Particularly in Java and, to a lesser extent, Sumatra, the Japanese educated, trained and armed many young Indonesians and gave their nationalist leaders a political voice. Thus, through both the destruction of the Dutch colonial regime and the facilitation of Indonesian nationalism, the Japanese occupation created the conditions for the proclamation of Indonesian independence within days of the Japanese surrender in the Pacific. However, the Netherlands sought to reclaim the Indies, and a bitter five-year diplomatic, military and social struggle ensued, resulting in the Netherlands recognising Indonesian sovereignty in December 1949. Map prepared by the Japanese during World War II, depicting Java, the most populous island in the Dutch East Indies. Sukarno was the first President of Indonesia, serving from 1945 to 1967. Mohammad Hatta was Indonesia's first vice president, later also serving as the country's prime minister. Known as "The Proclamator", he and a number of Indonesians, including the first president of Indonesia, Sukarno, fought for the independence of Indonesia from the Dutch. Hatta was born in Fort De Kock, West Sumatra, Dutch East Indies. After his early education, he studied in Dutch schools in the Dutch East Indies and studied in the Netherlands from 1921 until 1932. Suzuki Motor Corporation is a Japanese multinational corporation headquartered in Minami-ku, Hamamatsu. Suzuki manufactures automobiles, four-wheel drive vehicles, motorcycles, all-terrain vehicles (ATVs), outboard marine engines, wheelchairs and a variety of other small internal combustion engines. In 2016, Suzuki was the eleventh biggest automaker by production worldwide. Suzuki has over 45,000 employees and has 35 production facilities in 23 countries, and 133 distributors in 192 countries. The worldwide sales volume of automobiles is the world's tenth largest, while domestic sales volume is the third largest in the country. The Mitsubishi Group is a group of autonomous Japanese multinational companies in a variety of industries. Large-scale Japanese migration to Indonesia dates back to the late 19th century, though there was limited trade contact between Japan and Indonesia as early as the 17th century. There is a large population of Japanese expatriates in Indonesia, estimated at 11,263 people as of October 2009. At the same time, there are also identifiable populations of descendants of early migrants, who may be referred to as Nikkei Indonesians or Indonesian Nikkei. In November 1941, Madjlis Rakjat Indonesia, an Indonesian organisation of religious, political and trade union groups, submitted a memorandum to the Dutch East Indies Government requesting the mobilisation of the Indonesian people in the face of the war threat. The memorandum was refused because the Government did not consider the Madjlis Rakyat Indonesia to be representative of the people. Within only four months, the Japanese had occupied the archipelago. A trade union, also called a labour union or labor union (US), is an association of workers in a particular trade, industry, or company created for the purpose of securing improvement in pay, benefits, working conditions or social and political status through collective bargaining and working conditions through the increased bargaining power wielded by creation of a monopoly of the workers. The trade union, through its leadership, bargains with the employer on behalf of union members and negotiates labour contracts with employers. The most common purpose of these associations or unions is "maintaining or improving the conditions of their employment". This may include the negotiation of wages, work rules, complaint procedures, rules governing hiring, firing and promotion of workers, benefits, workplace safety and policies. The Japanese occupation was initially greeted with optimistic enthusiasm by Indonesians who came to meet the Japanese army waving flags and shouting support such as "Japan is our older brother" and "banzai Dai Nippon". As the Japanese advanced, rebellious Indonesians in virtually every part of the archipelago killed groups of Europeans (particularly the Dutch) and informed the Japanese reliably on the whereabouts of larger groups. As famed Indonesian writer Pramoedya Ananta Toer noted: "With the arrival of the Japanese just about everyone was full of hope, except for those who had worked in the service of the Dutch.  " 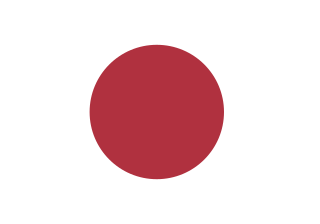 The Indonesian ruling class (composed of local officials and politicians who had formerly worked for the Dutch colonial government) co-operated with the Japanese military authorities, who in turn helped to keep the local political elites in power and employ them to supply newly arrived Japanese industrial concerns and businesses and the armed forces (chiefly auxiliary military and police units run by the Japanese military in the Dutch East Indies). Indonesian co-operation allowed the Japanese military government to focus on securing the large archipelago's waterways and skies and using its islands as defence posts against any Allied attacks (which were assumed to most likely come from Australia). The Japanese colonial rulers divided Indonesia into three separate regions; Sumatra was placed under the 25th Army, Java and Madura were under the 16th Army, while Borneo and eastern Indonesia were controlled by the 2nd South Fleet of the Imperial Japanese Navy (the IJN). The 16th Army and the 25th Army were headquartered in Singapore  and also controlled Malaya until April 1943, when its command was narrowed to just Sumatra and the headquarters moved to Bukittinggi. The 16th Army was headquartered in Jakarta, while the IJN's 2nd South Fleet was headquartered in Makassar. Materially, whole railway lines, railway rolling stock, and industrial plants in Java were appropriated and shipped back to Japan and Manchuria. British intelligence reports during the occupation noted significant removals of any materials that could be used in the war effort. The Japanese regime perceived Java as the most politically sophisticated but economically the least important area; its people were Japan's main resource. As such—and in contrast to Dutch suppression—the Japanese encouraged Indonesian nationalism in Java and thus increased its political sophistication (similar encouragement of nationalism in strategic resource-rich Sumatra came later, but only after it was clear the Japanese would lose the war). The outer islands under naval control, however, were regarded as politically backward but economically vital for the Japanese war effort, and these regions were governed the most oppressively of all. These experiences and subsequent differences in nationalistic politicisation would have profound impacts on the course of the Indonesian Revolution in the years immediately following independence (1945–1950). To gain support and mobilise Indonesian people in their war effort against the Western Allied force, Japanese occupation forces encouraged Indonesian nationalistic movements and recruited Indonesian nationalist leaders; Sukarno, Hatta, Ki Hajar Dewantara and Kyai Haji Mas Mansyur to rally the people's support for mobilisation centre Putera (Indonesian : Pusat Tenaga Rakyat) on 16 April 1943, replaced with Jawa Hokokai on 1 March 1944. Some of these mobilised populations were sent to forced labour as romusha. 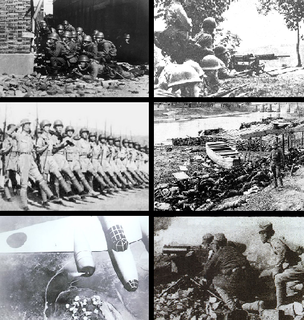 Japanese military also provided Indonesian youth with military training and weapons, including the formation of a volunteer army called PETA (Pembela Tanah Air – Defenders of the Homeland). 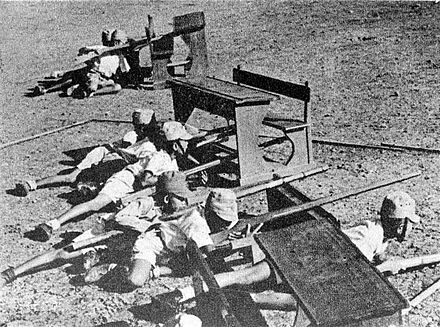 The Japanese military training for Indonesian youth originally was meant to rally local support for the collapsing power of the Japanese Empire, but later became the significant resource for the Republic of Indonesia during the Indonesian National Revolution, and also led to the formation of Indonesian National Armed Forces in 1945. —  Lord Mountbatten of Burma in April 1946 after visiting Sumatra, referring to the use of Japanese Surrendered Personnel. ↑ Klemen, L. (1999–2000). "The conquer of Borneo Island, 1941–1942". Dutch East Indies Campaign website. 1 2 Ricklefs 1991, p. 199. 1 2 Vickers, pp. 83–84. ↑ Mayumi Yamamoto, "Spell of the Rebel, Monumental Apprehensions: Japanese Discourses On Pieter Erberveld," Indonesia 77 (April 2004):124–127. ↑ Bidien, Charles (5 December 1945). "Independence the Issue". Far Eastern Survey. 14 (24): 345–348. doi:10.1525/as.1945.14.24.01p17062. ISSN 0362-8949. JSTOR 3023219. ↑ "The Kingdom of the Netherlands Declares War with Japan". ibiblio. 15 December 1941. Retrieved 5 October 2009. ↑ Klemen, L. (1999–2000). "General Sir Archibald Percival Wavell". Dutch East Indies Campaign website. 1 2 3 Vickers, p. 87. ↑ Horton, William Bradley (2007). "Ethnic Cleavage in Timorese Society: The Black Columns in Occupied Portuguese Timor (1942)". 国際開発学研究. 6 (2). ↑ Klemen, L. (1999–2000). "The Java Sea Battle". Dutch East Indies Campaign website. Archived from the original on 26 July 2011. ↑ Klemen, L. (1999–2000). "The conquest of Java Island, March 1942". Dutch East Indies Campaign website. Archived from the original on 26 July 2011. ↑ Pramoedya Ananta Toer, The Mute's Soliloquy, trans. Willem Samuels (New York: Penguin, 1998), pp. 74–106 (St. Lucia: University of Queensland Press, 1975). Cited in Vickers, p. 85. ↑ Cribb & Brown, p. 13. 1 2 3 Vickers, p. 85. ↑ Ricklefs 1993, p. 207. ↑ Mayumi Yamamoto, "Hidden Sexualities and Secrecy of Prestige: The Development of Military Prostitution in Borneo"
↑ Soh, Chunghee Sarah. "Japan's 'Comfort Women'". International Institute for Asian Studies. Retrieved 8 November 2013. ↑ "Women made to become comfort women - Netherlands". Asian Women's Fund. ↑ Reid, Anthony (1973). The Indonesian National Revolution 1945–1950. Melbourne: Longman Pty. p. 12. ISBN 978-0-582-71046-7. ↑ Davidson 2002, p. 78. 1 2 Ricklefs 2001, p. 252. ↑ Federspiel 2007, p. 124. ↑ Heidhues 2003, p. 204. ↑ Ooi 2013, p. 42. ↑ Heidhues 2003, p. 205. ↑ ed. Kratoska 2013, p. 160. ↑ Davidson 2002, p. 79. ↑ Davidson 2003 Archived 18 May 2014 at the Wayback Machine , p. 9. ↑ ed. Kratoska 2002, pp. 167–168. ↑ Ooi 2013, p. 176. ↑ Zweers 2011, p. 6. ↑ ed. Kratoska 2013, p. 168. ↑ Heidhues 2003, p. 207. ↑ Felton 2007, p. 86. ↑ Davidson 2009, p. 37. ↑ Heidhues 2003, p. 206. ↑ Davidson 2003 Archived 18 May 2014 at the Wayback Machine , p. 8. ↑ ed. Kratoska 2013, p. 165. ↑ Hui 2011, p. 42. ↑ Koninklijk Instituut voor Taal-, Land- en Volkenkunde (Netherlands). Afdeling Documentatie Modern Indonesie 2001, p. 41. ↑ Baldacchino 2013, p. 75. ↑ Sai & Hoon 2013, p. 119. ↑ Martinkus 2004, p. 47. ↑ "Tempo: Indonesia's Weekly News Magazine, Volume 3, Issues 43-52" 2003, p. 27. ↑ "Berita Kadjian Sumatera: Sumatra Research Bulletin, Volumes 1-4" 1971, p. 35. ↑ Nasution 1963, p. 89. ↑ "Sedjarah Iahirnja Tentara Nasional Indonesia" 1970, p. 12. ↑ "20 [i. e Dua puluh] tahun Indonesia merdeka, Volume 7", p. 547. ↑ "Sedjarah TNI-Angkatan Darat, 1945–1965. [Tjet. 1.]" 1965, p. 8. ↑ "20 tahun Indonesia merdeka, Volume 7", p. 545. ↑ Jong 2000, p. 189. ↑ Kusuma & Elson 2011, p. 196. ↑ Cited in: Dower, John W. War Without Mercy: Race and Power in the Pacific War (1986; Pantheon; ISBN 0-394-75172-8). ↑ Van der Eng, Pierre (2008). "Food Supply in Java during War and Decolonisation, 1940–1950". Munich Personal RePEc Archive (8852): 35–38. ↑ Horton, William Bradley (July 2016). History Unhinged: World War II and the Reshaping of Indonesian History (A dissertation submitted to the Graduate School of Literature, Waseda University ed.). Tokyo: Waseda University. ↑ Gotō, Kenichi (October 1976). "Life and Death of "Abdul Rachman" (1906 -- 49): One Aspect of Japanese-Indonesian Relationships". Indonesia. 22: 57–68. doi:10.2307/3350977. JSTOR 3350977. ↑ Tjandraningsih, Christine, (Kyodo News), "Japanese recounts role fighting to free Indonesia", Japan Times , 9 September 2009, p. 3. ↑ Tjandraningsih, Christine T., "Indonesians to get book on Japanese freedom fighter", Japan Times , 19 August 2011, p. 3. ↑ Ricklefs 1991, p. 216. The history of Indonesia has been shaped by its geographic position, its natural resources, a series of human migrations and contacts, wars and conquests, as well as by trade, economics and politics. Indonesia is an archipelagic country of 17,000 to 18,000 islands stretching along the equator in South East Asia. The country's strategic sea-lane position fostered inter-island and international trade; trade has since fundamentally shaped Indonesian history. The area of Indonesia is populated by peoples of various migrations, creating a diversity of cultures, ethnicities, and languages. The archipelago's landforms and climate significantly influenced agriculture and trade, and the formation of states. The boundaries of the state of Indonesia represent the 20th century borders of the Dutch East Indies. Aceh is a province of Indonesia, located at the northern end of Sumatra. Its capital and largest city is Banda Aceh. It is close to the Andaman and Nicobar Islands of India and separated from them by the Andaman Sea. Granted a special autonomous status, Aceh is a religiously conservative territory and the only Indonesian province practicing Sharia law officially. There are ten indigenous ethnic groups in this region, the largest being the Acehnese people, accounting for approximately 80% to 90% of the region's population. West Kalimantan is a province of Indonesia. It is one of five Indonesian provinces in Kalimantan, the Indonesian part of the island of Borneo. Its capital city is Pontianak. The province has an area of 147,307 km² with a recorded 2010 census population of 4,395,983 . Ethnic groups include the Dayak, Malay, Chinese, Javanese, Bugis, and Madurese. The latest official estimate is 4,546,439. The borders of West Kalimantan roughly trace the mountain ranges surrounding the watershed of the Kapuas River, which drains most of the province. The province shares land borders with Central Kalimantan to the southeast, East Kalimantan to the east, and the Malaysian territory of Sarawak to the north. The Aceh War, also known as the Dutch War or the Infidel War (1873–1904), was an armed military conflict between the Sultanate of Aceh and the Kingdom of the Netherlands which was triggered by discussions between representatives of Aceh and the United States in Singapore during early 1873. The war was part of a series of conflicts in the late 19th century that consolidated Dutch rule over modern-day Indonesia. The Investigating Committee for Preparatory Work for Independence (Indonesian: Badan Penyelidik Usaha-usaha Persiapan Kemerdekaan ,, sometimes referred to as the Investigating Committee for Preparatory Work for Indonesian Independence, was an organization set up in March 1945 by the Japanese military authority in Java during the Japanese occupation of Indonesia as the initial stage of the establishment of independence for the area under the control of the Japanese 16th Army. The BPUPK held two plenary meetings; the first was from 29 May to 1 June 1945 and the second was between 10 and 17 July 1945. The Battle of Surabaya was fought between pro-independence Indonesian soldiers and militia against British and British Indian troops as a part of the Indonesian National Revolution. The peak of the battle was in November 1945. The battle was the heaviest single battle of the revolution and became a national symbol of Indonesian resistance. Considered a heroic effort by Indonesians, the battle helped galvanise Indonesian and international support for Indonesian independence. 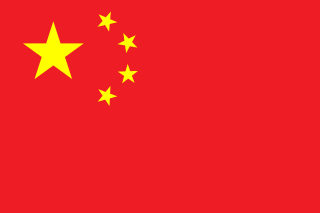 10 November is celebrated annually as Heroes' Day. The Preparatory Committee for Indonesian Independence or PPKI was a body established on 7 August 1945 to prepare for the transfer of authority from the occupying Japanese to Indonesia. It approved and promulgated the first Indonesian constitution, and appointed Sukarno president. The Malino Conference was organised by the Dutch in the Sulawesi town of Malino from 16–25 July 1946 as part of their attempt to arrange a federal solution for Indonesia. From the end of World War II, Indonesian Republicans had been trying to secure Indonesian Independence from the Dutch colonial control. Sultan Hamid II, born Syarif Abdul Hamid Alkadrie was the eighth Sultan of Pontianak and the only President of the State of West Kalimantan from 1946 to its disestablishment in 1950. He was the eldest son of Sultan Syarif Muhammad Alkadrie. He was of mixed Malay-Arab ancestry and was raised by two British nationals— Salome Catherine Fox and Edith Maud Curteis. The Pontianak incident consisted of two massacres which took place in Kalimantan during the Japanese occupation of the Dutch East Indies. One of them is also known as the Mandor Affair. The victims were from a wide variety of ethnic groups, and the killings devastated the Malay elite of Kalimantan, with all the Malay Sultans of Kalimantan executed by the Japanese. Baldacchino, Godfrey, ed. (2013). The Political Economy of Divided Islands: Unified Geographies, Multiple Polities. Palgrave Macmillan. ISBN 978-1-137-02313-1 . Retrieved 10 March 2014. Cribb, Robert; Brown, Colin (1995). Modern Indonesia: A History Since 1945. Harlow, Essex, England: Longman Group. ISBN 978-0-582-05713-5. Davidson, Jamie Seth (2002). Violence and Politics in West Kalimantan, Indonesia. University of Washington. Retrieved 10 March 2014. Davidson, Jamie S. (August 2003). ""Primitive" Politics: The Rise and Fall of the Dayak Unity Party in West Kalimantan, Indonesia"" (PDF). Asia Research Institute Working Paper Series (ARI Working Paper). Asia Research Institute of the National University of Singapore (No. 9). Archived from the original (PDF) on 18 May 2014. Retrieved 17 May 2014. Davidson, Jamie Seth (2009). From Rebellion to Riots: Collective Violence on Indonesian Borneo. NUS Press. ISBN 978-9971-69-427-2 . Retrieved 10 March 2014. Federspiel, Howard M. (2007). Sultans, Shamans, and Saints: Islam and Muslims in Southeast Asia (illustrated ed.). University of Hawaii Press. ISBN 978-0-8248-3052-6 . Retrieved 10 March 2014. Heidhues, Mary F. Somers (2003). Golddiggers, Farmers, and Traders in the "Chinese Districts" of West Kalimantan, Indonesia. Volume 34 of Southeast Asia publications series (illustrated ed.). SEAP Publications. ISBN 978-0-87727-733-0 . Retrieved 10 March 2014. Gotō, Kenichi (October 1976). "Life and Death of "Abdul Rachman" (1906 -- 49): One Aspect of Japanese-Indonesian Relationships". Indonesia. 22: 57–68. doi:10.2307/3350977. JSTOR 3350977. Horton, William Bradley (July 2016). History Unhinged: World War II and the Reshaping of Indonesian History (A dissertation submitted to the Graduate School of Literature, Waseda University ed.). Tokyo: Waseda University. Hui, Yew-Foong (2011). Strangers at Home: History and Subjectivity Among the Chinese Communities of West Kalimantan, Indonesia. Volume 5 of Chinese Overseas (illustrated ed.). BRILL. ISBN 978-90-04-17340-8 . Retrieved 10 March 2014. Jong, Louis (2002). The collapse of a colonial society: the Dutch in Indonesia during the Second World War. Volume 206 of Verhandelingen van het Koninklijk Nederlands Geologisch Mijnbouwkundig Genootschap, Volume 206 of Verhandelingen van het Koninklijk Instituut voor Taal-, Land- en Volkenkunde (illustrated ed.). KITLV Press. ISBN 978-90-6718-203-4 . Retrieved 10 March 2014. Excerpta Indonesica, Volumes 64-66. Contributor Koninklijk Instituut voor Taal-, Land- en Volkenkunde (Netherlands). Afdeling Documentatie Modern Indonesie. Centre for Documentation on Modern Indonesia of the Royal Institute of Linguistics and Anthropology. 2001. Retrieved 10 March 2014. Kratoska, Paul H., ed. (2002). 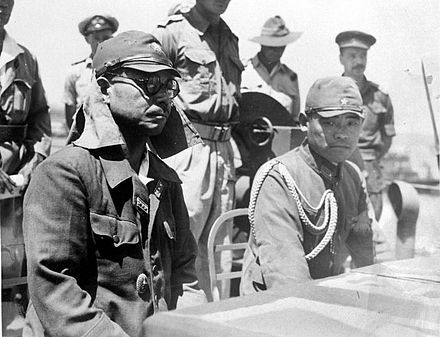 Southeast Asian Minorities in the Wartime Japanese Empire. Psychology Press. ISBN 978-0-7007-1488-9 . Retrieved 10 March 2014. Kratoska, Paul H., ed. (2013). Southeast Asian Minorities in the Wartime Japanese Empire. Routledge. ISBN 978-1-136-12506-5 . Retrieved 10 March 2014. Martinkus, John (2004). Indonesia's Secret War in Aceh (illustrated ed.). Random House Australia. ISBN 978-1-74051-209-1 . Retrieved 10 March 2014. Keat Gin, Ooi (2013). Post-War Borneo, 1945–1950: Nationalism, Empire and State-Building. Routledge. ISBN 978-1-134-05810-5 . Retrieved 10 March 2014. Ooi, Keat Gin (2013). Post-war Borneo, 1945–50: Nationalism, Empire and State-Building. Routledge. ISBN 978-1-134-05803-7 . Retrieved 10 March 2014. Sai, Siew-Min; Hoon, Chang-Yau, eds. (2013). Chinese Indonesians Reassessed: History, Religion and Belonging. Volume 52 of Routledge contemporary Southeast Asia series (illustrated ed.). Routledge. ISBN 978-0-415-60801-5 . Retrieved 10 March 2014. Ricklefs, Merle Calvin (2001). A History of Modern Indonesia Since C. 1200 (illustrated ed.). Stanford University Press. ISBN 978-0-8047-4480-5 . Retrieved 10 March 2014. Ricklefs, Merle Calvin (1991). A History of Modern Indonesia Since c. 1300 (Second ed.). MacMillan. Ricklefs, Merle Calvin (1993). A History of Modern Indonesia Since c. 1300 (Second ed.). Stanford, California: Stanford University Press. p. 207. ISBN 978-0-8047-2194-3 . Retrieved 19 April 2011. Taylor, Jean Gelman (2003). Indonesia: Peoples and Histories. New Haven and London: Yale University Press. ISBN 978-0-300-10518-6. Vickers, Adrain (2005). A History Modern of Indonesia. Cambridge. ISBN 978-0-521-54262-3. Tempo: Indonesia's Weekly News Magazine, Volume 3, Issues 43-52. Arsa Raya Perdana. 2003. Retrieved 10 March 2014. Berita Kadjian Sumatera: Sumatra Research Bulletin, Volumes 1-4. Contributors Sumatra Research Council (Hull, England), University of Hull Centre for South-East Asian Studies. Dewan Penjelidikan Sumatera. 1971. Retrieved 10 March 2014. Sedjarah Iahirnja Tentara Nasional Indonesia. Contributor Indonesia. Angkatan Darat. Komando Daerah Militer II Bukit Barisan. Sejarah Militer. Sedjarah Militer Dam II/BB. 1970. Retrieved 10 March 2014. Anderson, Ben (1972). Java in a Time of Revolution: Occupation and Resistance, 1944–1946. Ithaca, N.Y.: Cornell University Press. ISBN 978-0-8014-0687-4. Hillen, Ernest (1993). The Way of a Boy: A Memoir of Java. Toronto: Viking. ISBN 978-0-670-85049-5.